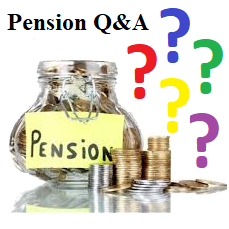 Q: Augmentation - what is "augmentation" and why would the 2018 omnibus pension and retirement bill include amendments that end it? "Augmentation" is an automatic annual percentage increase in the pension benefit accrued by a member who is no longer in public service, but has not yet reached retirement age. The member's pension benefit increases each year until the member reaches retirement age and elects to begin receiving his or her pension. Click here for additional explanation, including an example of augmentation, and considerations involved in the proposal to eliminate it.